As I'm sure many of you could assume, especially those who follow me on Instagram, I'm obsessed with shoes. I enjoy shopping in general to the point that it could probably be considered a hobby of mine at this point, but when it comes to shoes, they are my passion. There's just something about shoes that I love. Maybe it's that moment when you open up the box and fold aside the tissue paper to reveal these bright, untouched, and ready to be broken in statement pieces. Or maybe the fact they can make or break an outfit. All I know is that I love the endless styles, patterns, and colors offered and equally the endless number of outfits that can be built around a single pair. Prior to this purchase I've never owned a pair of white pumps. Boy I've been missing out. White heels, like black, brown, or nudes, are a staple. They are simple enough to work with almost any outfit. Various outfit combinations for the upcoming months were formulating in my head at first glance. Since it is spring, and summer is fast approaching, I opted for these strappy heels. Not only am I pleased to have added such a neutral option to my collection, but I've been looking high and low for heels to wear to a few graduation parties I'll be attending over the next couple of months! These are the heels I'll be wearing to my cousin's wedding. Not only am I wearing a dark navy Calvin Klein bodycon dress that I feel spectacular in, but these gorgeous lacy shooties are the icing on the cake. With my black envelope clutch in hand, hair done up in a french twist, and this pairing, my confidence will surely sore. You can never go wrong with a black heel, especially ones where you can't help but be self-assured and poised while sporting them. Not going to lie, the price tag is what drew me to these heels initially. At only $15 for these and purchasing the ones below with Payless's bogo offer, I couldn't say no. How often can you purchase two brand new and unique pairs of shoes for $21? Probably more often than I think actually, and I'm really just falling for Payless's marketing scheme... Oh well! I still got two new pairs of shoes! These gorgeous dual tone heels with the color and pattern will be great for work. It's the perfect way to rock a little bit of leopard. I can just picture myself now wearing these, a black pencil skirt, red blazer, with gold accents for that 'edgy powerful independent woman' look. Even with adding this 'edge,' my feet won't have to pay the price thanks to the extra squishy padding on the inside. Bonus! As mentioned above, the price of these were a major pull factor. On sale they're $12, but with the bogo promotion, they ended up being $6. I've been wanting to buy slip-on Vans for a while for the design and conveniences, but I'm happy to have found these as a way cheaper alternative. Lately I've been loving the urban, contemporary, monochromatic style, and these fit the bill perfectly. With the black and white inverted on either half of the shoe, I figured these would make an even cooler addition to my shoe selection over a more basic $50 pair of Vans. I can't wait to pair these with black disco pants, light wash jeggings, or even a white skort. The options are limitless! Why waste money on a name brand pair of shoes when you can get a similar pair for a fraction of the price? That was my mantra when buying these and I'm very pleased that I did. 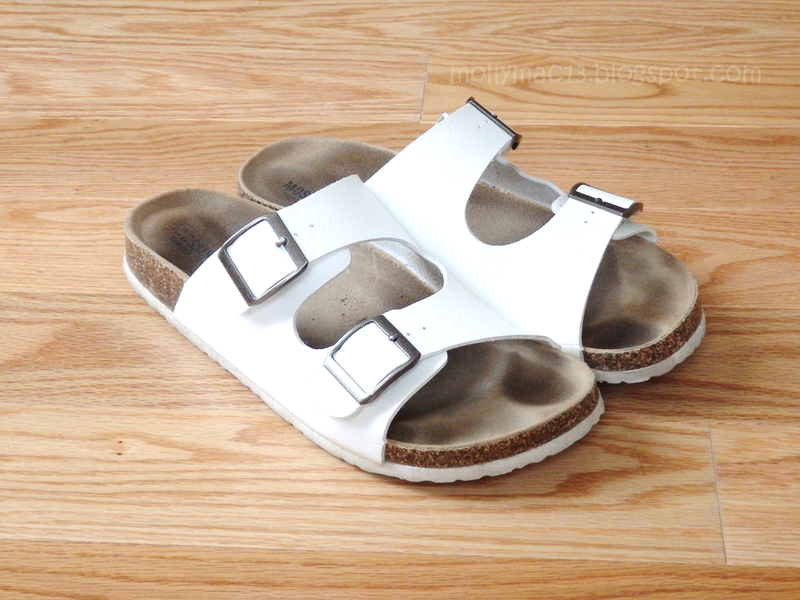 I'm in love with my faux birks! As you can tell by the photos, I've already gotten a lot of use out of these. Not only are they comfortable and quick to slide on, they also go with sooo many outfits. Most people associate this style with urban, grunge, or hipster looks, but I can assure you, these work nicely with even the girly frilly outfits. One of my favorite ensembles I put together recently was with these, a crocheted top, floral kimono, and rolled up jeans (as seen on Instagram). 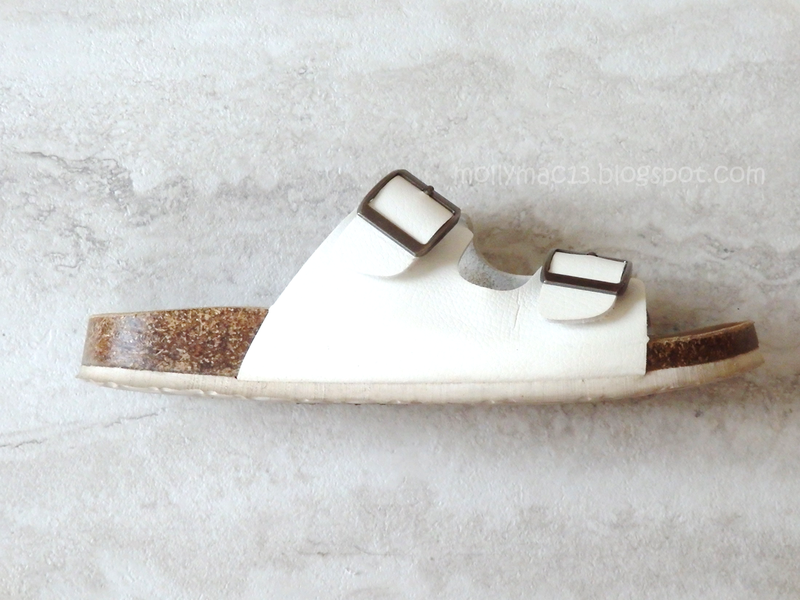 After wearing these almost everyday since I purchased them, they will no doubt be my favorite sandals for this spring and summer! Which is your favorite pair of shoes from this haul? How would you style them? Have you made any spring/summer footwear additions to your wardrobe yet? I'm loving white shoes at the moment. They go with everything and are perfect for spring! Lovely post, and lovely shoes! I love those white heels! You could win a pair of brogues worth £85 in my giveaway! Enter here. ENDS IN TWO DAYS! Your shoe collection is perfect... the white pair are to die for! Those slips on are amazing!!! And I love fake birks... I'm so glad they're becoming so easy to find haha! 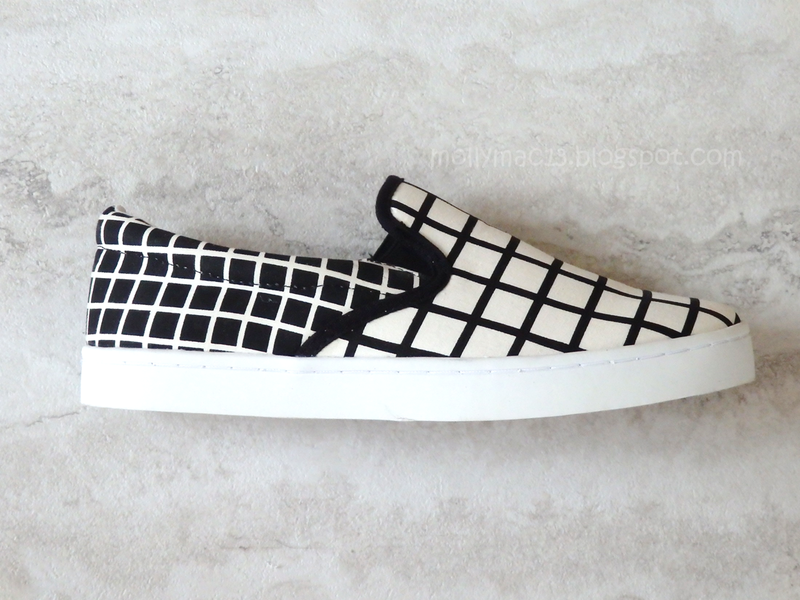 YAAAAASS to the air walk slip ons...they're awesome!!! I love the black lace peep toes, how pretty! Waaaaaaaw I love them all so much!! !